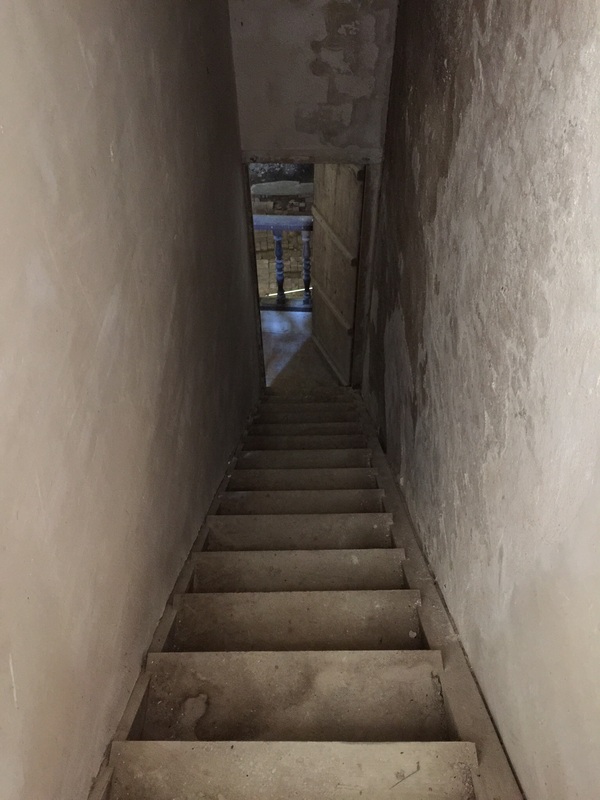 I will be volunteering at The Abbey this week and posting photos and updates so you can get a sense of this important project. 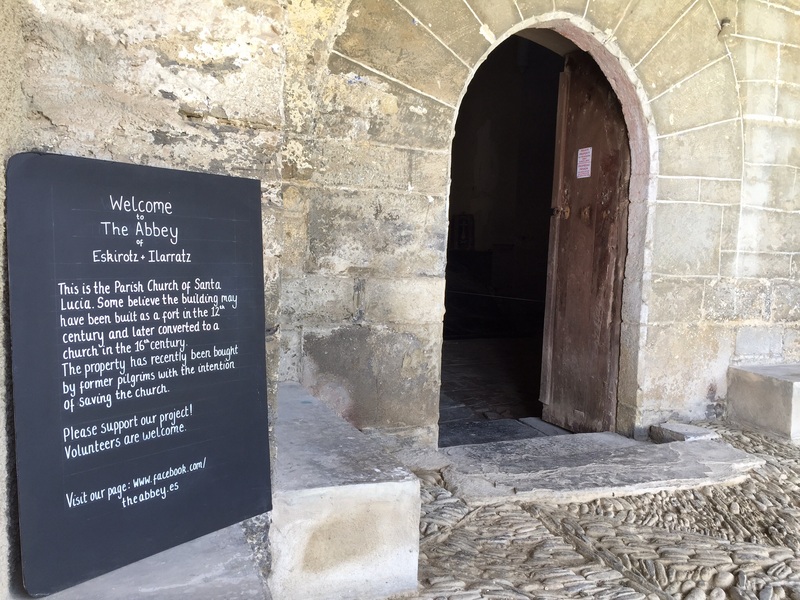 The Abbey is owned now by two former pilgrims, Neill and Cath – they are working to save it with a goal of making it once again a refuge for pilgrims. For me, it is a gift to be able to help Neill and Cath save this beautiful building and to greet pilgrims from around the world who walk by. I will be with them this week, bringing pilgrims into the church – so they can keep working! 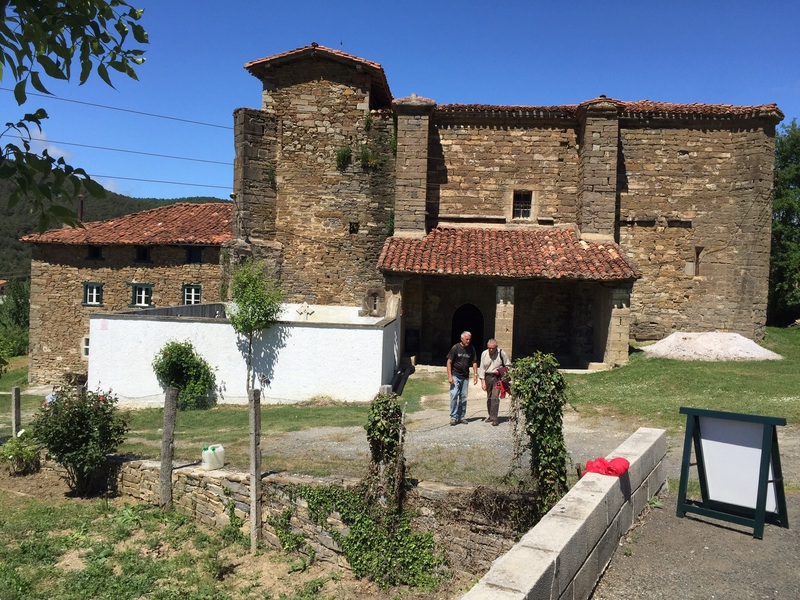 The Abbey is a 12th century fortress on the Camino de Santiago that was repurposed as a Catholic church in the 16th century. Sadly, it was abandoned for ten years – happily, it is getting some very loving care. Pilgrims helping pilgrims – some pilgrims have stopped on their way to Santiago to help paint or rake leaves, others vow to return to help after they finish their Camino, armed with their new Compostelas. The building needs roof work to close up leaks and make sure it is no longer housing birds and critters certainly, but more immediately, to make sure there is no further water damage. 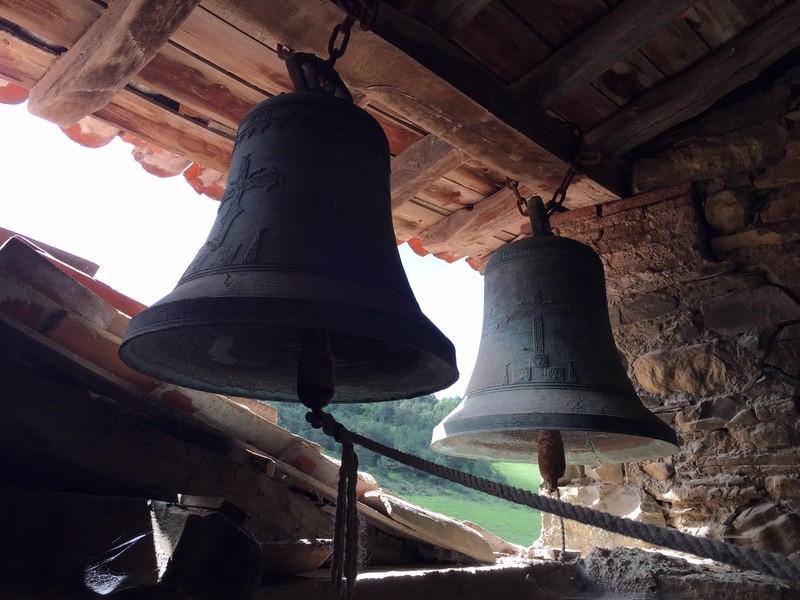 These old bells are wonderful – the one on the right is cracked, but the one on the left does ring. And they have names – Jeus and Josep. Neill has hung sweet wind chimes in this open space at the top of a slim staircase. The breeze today was lovely and the sound of the chimes must have made the bells feel less lonely up there. If you would like to help save The Abbey, please visit their Facebook page for information. Or comment here and I will send you the link to their GoFundMe site. NB: If you walked by today and notice now that you lost your red rain poncho, we’ve got it! Posted in Camino Frances. Tagged Amigo, Camino de Santiago. Great stuff here, Anne! I’m a big fan of the Camino – hope to walk it one day. Your writing and photos are wonderful. Looking forward to more.